This Andante is the third movement of a concerto for solo violin and orchestra composed in Paris in 1774, when Joseph was twenty-nine years old. 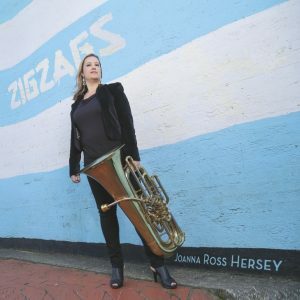 This work is also available in a tuba euphonium quartet version coming soon from Cimarron Music Press, which can be heard on the JAM – Joanna and Michael album, with Lance LaDuke and Joanna Ross Hersey on euphoniums, and Andrew Hitz and Michael Parker, tubas. For more information, see description below. 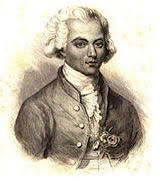 A leading musical artist in Classical Europe, Joseph Bologne, Chevalier de Saint-George (1745-1799) was a dashing figure who excelled at the violin, in addition to his love of sports, also becoming a fencing champion. Born in the French West Indies, his father George was a plantation owner, and his mother, Nanon, a slave of African descent. Joseph grew up embraced by his father’s household, and was trained in all the skills necessary to young upper-class men of his time. In Europe, he composed numerous string quartets and concertos, the level of which was often compared to his contemporary, Mozart. Once payment is processed, you will be emailed a download link allowing 4 maximum downloads within 30 days.